To help you learn more about programming, make sure to use the EV3 Block Guide and the lessons created by other robotics teams. As you are working with your robot, think about how you can measure distance traveled: seconds, degrees, rotations, or measured with port view. Here's a challenge for moving your robot straight. 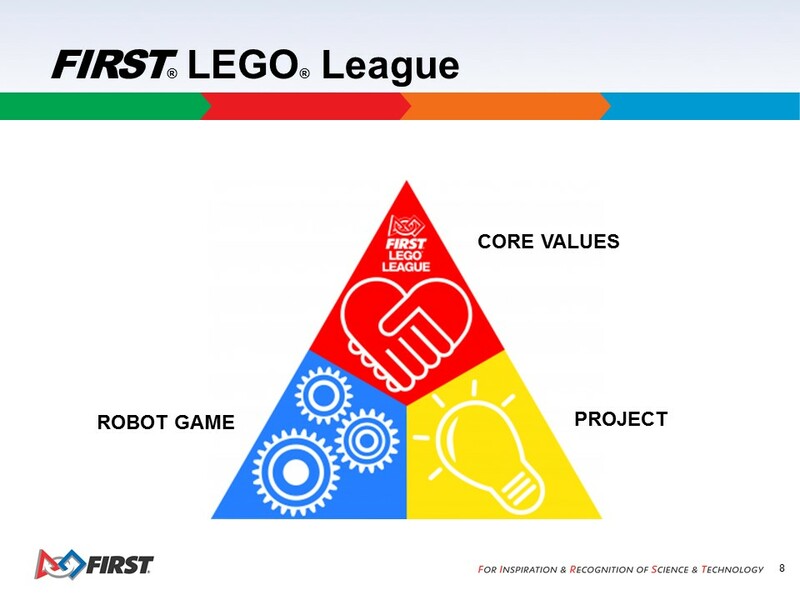 Dive into the 2017-2018 FIRST® LEGO® League Challenge: HYDRO DYNAMICS. This season more than 235,000 students from around the world will explore the human water cycle: how we find, transport, use, and/or dispose of water. Teams will build autonomous robots with LEGO® MINDSTORMS® technology and perform a series of missions. In addition to the robot game, students will choose and solve a real-world human water cycle problem. Students will absorb STEM skills, while learning to make positive contributions to society. People use water every day, but you probably don’t think much about how and why they use water. Whether it’s directly (drinking or washing) or indirectly (manufacturing the products they use or producing energy), they have a lot of different needs for water. Your team’s Project challenge this season is to improve the way people find, transport, use, or dispose of water.​ The Robot Game provides many examples of the way people use water. You could ask your team to brainstorm based on the missions. Consider questions like: • Where does the water I use come from? • Do I get my water from a lake or river, or from a water well? • Does the water need to be cleaned, transported, or stored during the process? How does this happen? • Where does water go after it is used? • What type of professionals work to protect our water resources? • How do people in other parts of the world get their water? • What happens when people don’t have access to clean drinking water? • Do you notice any ways the human water cycle could be improved? Think about: • What could be done better? What could be done in a new way? • How can you reimagine the way we clean, transport, use, or dispose of our water? • Could your solution balance the needs of people, the planet, and prosperity? Why would your solution succeed when others have failed? • What information would you need to estimate the cost? Think about who your solution might help. How can you let them know that you have solved their problem? • Can you present your research and solution to people who transport, clean, collect, or use water? • Can you share with a professional or someone who helped you learn about your problem? • Can you think of any other people who might be interested in your idea? In a robot Sumo match, two robots start inside a ring marked with a border of a contrasting color and try to be the first one to push the other robot outside the ring. There are a large variety of mechanical designs and programs that could be used, but most robots start with a light sensor to detect the border of the ring. Click here to get started programming your light sensor.